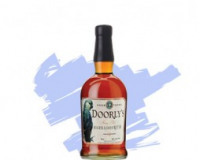 Distilled at a small family-run distillery that makes some of the most popular rums in Barbados, every bottle of Foursquare Spiced Rum is a hand-crafted blend of fresh nutmeg, cinnamon, ginger and the distiller’s art. Refreshingly smooth on ice, Foursquare Spiced doesn’t contain the added sugar cane syrup commonly found in many other spiced rums. Foursquare Spiced Rum is an aged rum with hints of cinnamon, vanilla and nutmeg gently blended in at the distillery. The actual recipe is a family secret passed down through five generations. It is bottled in Hand Crafted European glass bottles with a hand dipped wax seal. The Rum heralds from Barbados – the island where rum was born.